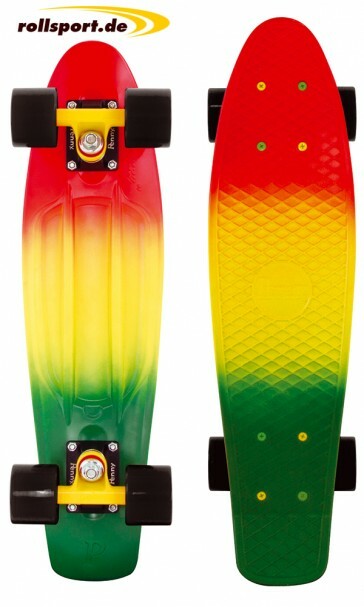 Penny Skateboard Rasta Fade - the Penny Board there is in this color in two different sizes (22 inches and 27 inches). Worldwide, the absolute must-have product on the market for every child, youth and of course all in the skateboarding scene. 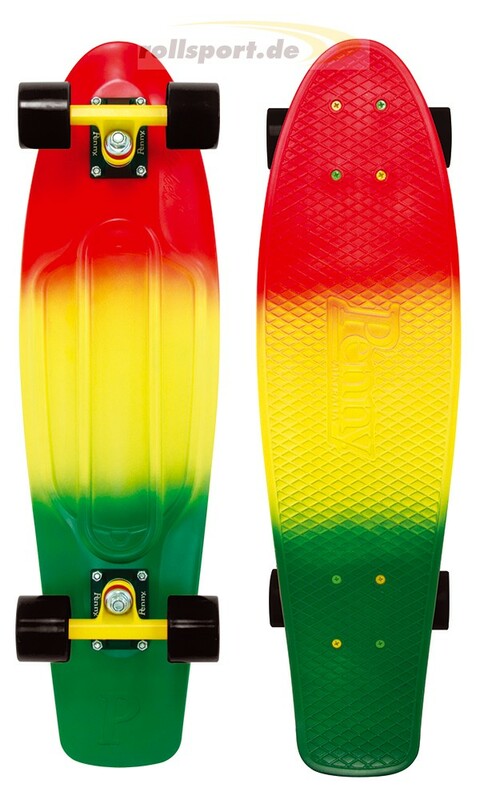 Pennyboard Rasta Fade 22" / 27"
First up is the quality which value the customers of the brand in this product. 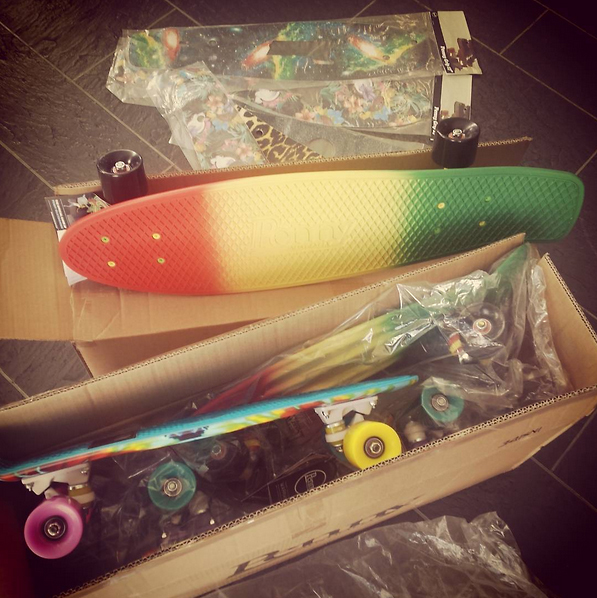 But of course the flamboyant style design of the professional manufacturer Penny Skateboards is an absolute eye-catcher. Length: 22 inches / 58 cm ca.